Imagine, you are watching a movie, it has a very unique plot and the way the story started was also interesting but the central characters are just going with the flow of the events, nobody is really reacting or they are thinking in a very predictable or ordinary manner, now this will ruin the entire experience! You may have a great story idea but when you bring it down on paper, better design further interesting and unseen characters to execute the deeds or to suffer the consequences or to face the conflicts of your story. The audience must connect with the characters, only then the movie will be remembered. There’s another factor that can ruin even well written characters, bad casting! The actors are the ones who bring the characters to the viewers, so if they aren’t perfect for the part then the whole thing will flop. Talking about both these factors in film making, we can take Bangalore Days as the perfect example which got it in the right way (there is long list of movies which got them in the wrong way, you might have already thought of some!). Bangalore Days has a script where even the conflicts come in the form of people as in characters. There are few other examples to the same like Zindagi Na Milegi Dobara but now we will concentrate on Bangalore Days (BD). Like I mentioned earlier, in Bangalore Days even conflicts or strengths come in form of people whereas in many other films they are caused by people. For example, Shiva’s pain is not caused by Natasha but his pain is Natasha. Each character in this film bring each element to the script. Divya – The Most Relatable One:- Divya is our girl-next-door, she is you and me. Everyone would love her, root for her. She is also Shiva’s redemption. Moreover she connects the whole world of BD together and to do that you need a character that is as free flowing as Divya. Divya cannot be an alien or a hard to understand girl with an emotional baggage, she must be the chirpy self that she is. Kuttan – The Adorable One:- Kuttan is not the comic relief but he is the shoulder to lean on when all other characters are in comparatively bigger problems. Kuttan’s life is certainly not going the way he wanted but still he manages to move on. Kuttan is the representation of any Malayali from a normal background who gets exposed to a bigger city like Bangalore. He wins when he makes peace with his transformation. Shiva Das – The Paradox:- Das reveals that he had an affair and is still unable to move on from it, we can guess that it may be the cause of his unlikely behavior but such a flamboyant past? That was a surprise. Das is the anxiety giver to the audience, he has this mystic air around him. You forgive him for his rude attitude, you cry for his loss and you are happy at his come back. How complete the character is?! Sarah – The Motivation:- Sarah is an inspirational figure, you may not relate with her as much as with Divya but you want to be as determined and strong as her. She is sweet too. Now Aju is puzzled and Sarah has clarity, Aju has no restrictions but Sarah has, when they come together, they feed off each other. Winning the race may seem the big achievement to Aju but getting Sarah is his real achievement. The race and new friends could have helped Aju but Sarah is the door to a new life. Natasha – The Loss & Meenakshi – The Realization:- Shiva’s and Natasha’s story is a deep and painful one whereas Kuttan’s and Meenakshi’s one is quite frivolous. Both these women bring change in the men. Shiva becomes this whole different person and Kuttan hardens a bit from his innocent self. The Family:- They mirror our households, don’t they? Divya’s parents are very relatable, we can understand Sarah’s mother too. Kuttan’s parents are really quirky and we love those two characters, the much needed wisdom for Kuttan comes from his father’s letter that he sends from Goa. That was wise I know! The families and the things they do and say are so familiar and that is the reason why we could get into the world of BD. BANGALORE:- Now how can I not mention the titular character?! Place this story in any other city, it may work but it may not turn out to be this soothing. Bangalore is not just a setting in this film but a character. They could never have obtained this diversity in culture for the film until and unless it is B’lore. So if any Bangalorean is missing the city, watch Bangalore Days! Bangalore Days was the first film with an ensemble cast after the “new generation” actors debuted. We had not seen much of any of these actors to have a fixed image of them in mind. That was the freshness of this film. There was another young league of a bit more senior actors like Prithviraj or Asif Ali, but the makers wisely chose the newer most stars. Casting a multi-starer isn’t an easy task at all. The dates, the locations, the remuneration, everything matters. Also stars don’t come alone but they bring an entourage. For example, to get an A-listed heroine like Nithya Menon for the flashback portion is the perfect choice but practically difficult. But Anjali Menon, Anwar Rasheed and the team pulled it off and how! In the character introduction itself Anjali broke actor and brought in the character. In the opening scene when Nivin elongate the ‘so’ we forget Nivin and start seeing Kuttan. It is the actor’s one if the best and most memorable roles. He narrates the film and introduces the other characters. We re-realized how suitable the casting was when the remakes messed it up. The most important thing about casting a film is that the actor should convince the audience completely. In Bangalore Days, the new bunch of actors who where making their place in the industry made the perfect lid for the jar. When we look at elder actors like Kalpana or Vijayaraghvan, they are familiar to the Malayali audience like family but their roles were different than the ones they did before. Fahadh Faasil as Siva was another excellent choice because till then he was doing some negative shaded roles. It brought out the actor’s versatility. Dulquer Salmaan definitely stepped up one more step of stardom. His character has many layers to it and he brought out the needed carefree attitude and maturity in the equal proportion. 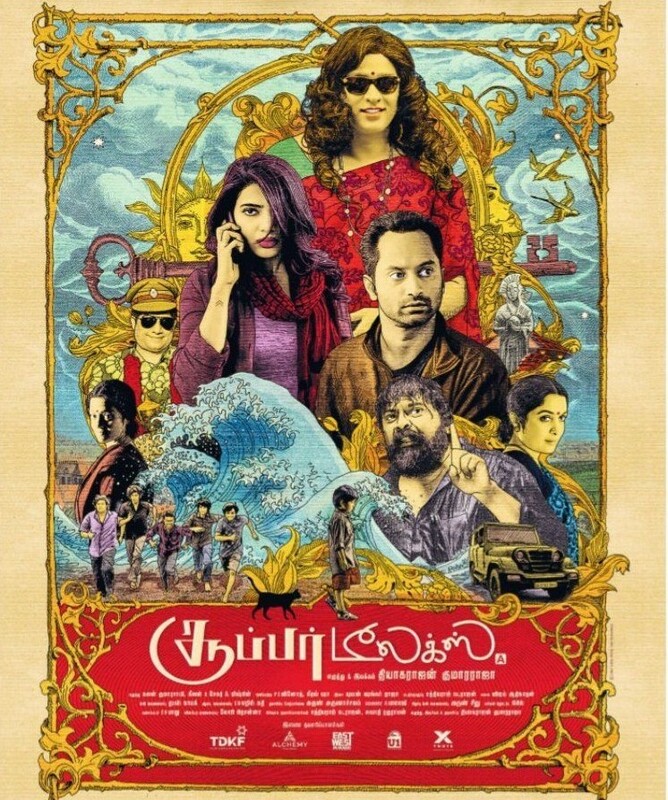 Parvathy also delivered a great performance without overshadowing any other actor. The film also proved the camaraderie of the latest lot of actors. None of them weren’t visibly insecure about sharing the screen space. The personal equations among the actors also matters when it comes to such a long and tough process like production. Bangalore Days is one of the majority’s all time favorite films. It is never tiring to watch it and undoubtedly the characters and they way they are knit together are the cause of it. The cult classic film is one that Malayalam cinema can cherish for having a lot of it’s amazing talents in it.